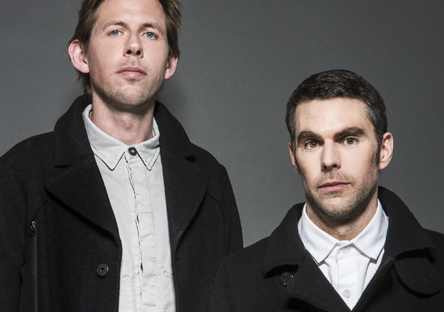 Groove Armada were recently confirmed as the first headliners for ANTS London, when the colony returns to the UK on Easter Thursday 13 April 2017 at 02 Academy Brixton. The biggest ANTS show yet outside Ibiza will see Groove Armada DJ alongside residents and other headline DJs to be announced. Groove Armada have possibly been at the forefront of house music for two decades and equally happy playing big stages or sweat-soaked basements. Their breakthrough releases, the downtempo anthem ‘At The River’ and million selling album ‘Vertigo’ has led to the act releasing seven studio albums to date plus a ‘Fabric Live’ album in 2016. One of Ibiza’s electronic music gatherings, ‘The Colony’, as it is apparently known to its supporters, will invade London’s 02 Academy Brixton for its second party in the capital, following its show at Electric Brixton in February 2016. After launching at Ushuaia, Ibiza in 2013, ANTS has possibly evolved into one of the key Ibiza parties, drawing the island’s clubbing cognoscenti as well as clued up clubbers from around the world. Apparently it’s know for its curated underground line-ups and production, creating top experiences for those at their parties.